Visibly reduce the appearance of redness, fine lines and wrinkles, puffiness, and pore size with EMPOWER ME. This unique blend of green tea polyphenols, resveratrol, and caffeine USP helps to calm and soothe the skin as well as guard against free radical damage! One bottle is equivalent to approximately 500 cups of green tea for your skin! A staff favorite, SOOTHE MY SKIN is a makeup remover that’s good for your skin! Feel the results after one use as this antioxidant cleanser removes environmental pollutants and excess oil while nourishing the skin and providing all the benefits of Dr. Dayan’s green tea antioxidant therapy. 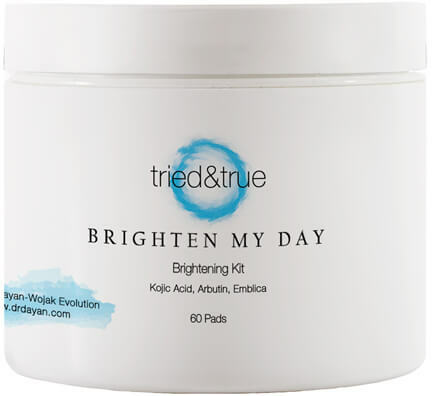 Brighten and even skin tone with this botanical mix of kojic acid, arbutin, & bearberry. This custom, made-for-you at our office, skin care product will calm and soothe skin while guarding against free radicals. Brightens dark spots, hyperpigmentation, age spots, liver spots, sun spots, and freckles. A vitamin C active complex that helps to brighten the complexion and supports healthy collagen production. Prevents dry skin and wrinkles and produces immediate antioxidant benefits. Highly therapeutic & non-irritating, not to mention smells like oranges! OPEN MY EYES is the ultimate eye repair cream complete with retinol, hyaluronic acid, ceramides, peptides, niacinimide, arnica, vitamin K, and caffeine. Visibly diminishes signs of aging, increase firmness, deeply hydrate & tighten skin, as well as reduce the appearance of bags, puffiness, and dark circles. This weightless, residue-free sunscreen protects the skin from UVB rays (the burning rays) and UVA rays (the aging rays). As a pure physical protectant, PROTECT ME is less irritating than chemical sunscreens due to its antioxidant enriched formula and reflects the sun’s rays instead of absorbing ultraviolet light. BB Cream perfected! Protect, hydrate, prime, and mattify with this tinted SPF 50+ sunscreen. Protect your skin from harmful UVA and UVB rays with all the benefits of a priming makeup! Our universal pigment technology adjusts to all skin tones and is perfect for all skin types. This product is perfect for anyone looking to visibly firm, lift, and smooth the neck or décolletage. LIFT ME UP improves elasticity, reduces the signs of aging, firms and tightens the skin, supports healthy collagen production, and brightens skin for an even tone and texture. 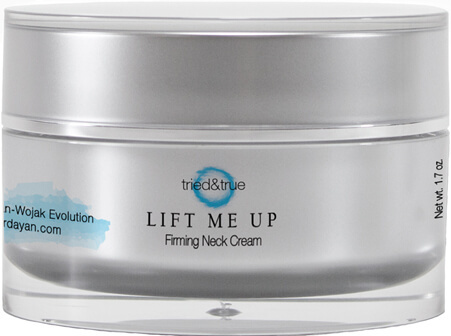 We are constantly asked about ways to improve this area non-surgically, so we couldn’t resist this firming neck cream! This retinol serum is clinically proven to show significant improvement in visible fine lines and wrinkles. Our unique delivery system offers superior results to help increase cell turnover, support healthy collagen production, and brighten areas of hyperpigmentation. Comes in difference strengths for sensitive, average, or mature skin (2X, 5X, 10X). 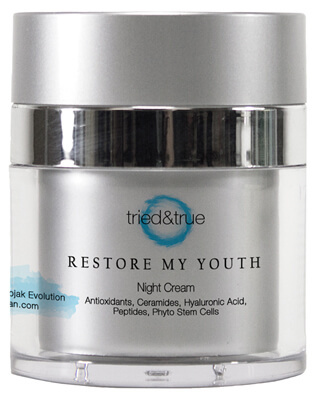 Nourish dry skin, target wrinkles, and improve skin’s appearance overnight! Our best-selling NIGHT CREAM is a moisture-boosting cream that helps to fortify the skin’s protective barrier and combat dryness overnight. Hydrate. Plump. Rejuvenate. QUENCH MY THIRST is the perfect answer for those with dry skin! This unique pure mineral complex utilizes peptides, antioxidants, and hyaluronic acid to quench dehydrated skin and provide all day moisture retention. Not to mention create a plumping effect minus the needle!